Maintain proper pressure in your car tires. The incoming Administration has resolved to change U.S. energy and regulatory policies in the New Year – changes that are likely to anger many environmentalists in the U.S. and abroad. Anger, however, will not reduce particulate matter and greenhouse gas emissions. Thankfully, there are steps we can take as individuals to achieve this goal even in the absence of environmental regulations, a federal cap and trade system, or a carbon tax. Indeed, there is one simple step we can all resolve to take this New Year to make a positive impact on our environment and save money: We can ensure our car tires are properly inflated. Most people in the U.S. drive with under-inflated tires, perhaps by as much as 25%. Indeed, as the car gurus at Edmunds have publicly admitted, even automobile experts do not do a great job of ensuring optimal tire pressure on their personal vehicles. This is problematic for several reasons. First, and most importantly, under-inflated tires are unsafe. Indeed, the reason that all new cars have tire pressure monitoring systems has more to do with safety than it does with fuel economy or environmentalism. Second, this bad habit wastes money. Under-inflated tires are inefficient, which means they wear faster (costing you money) and reduce your gas mileage (costing you more money). For an average driver, a 3% increase in fuel efficiency (which is roughly the gain that would result from properly inflating substantially under-inflated tires) would save roughly $60 at the pump every year (at today’s low gas prices) — money that would not go to “big oil” (for those motivated by this concern). Third, under-inflated tires are very bad for the environment. Incredibly, burning a gallon of gas produces roughly 20 pounds of carbon dioxide. For an average driver, a 3% increase in fuel efficiency would reduce carbon dioxide emissions by roughly 400 pounds per year. If just a handful of people were to start paying attention to their tire pressure, the environmental impact would be substantial: The editors at Edmunds estimated that if their 212 staffers properly inflated their tires, they would save 5820 gallons of gas every year, which would translate into 116,400 fewer pounds of carbon dioxide emissions. 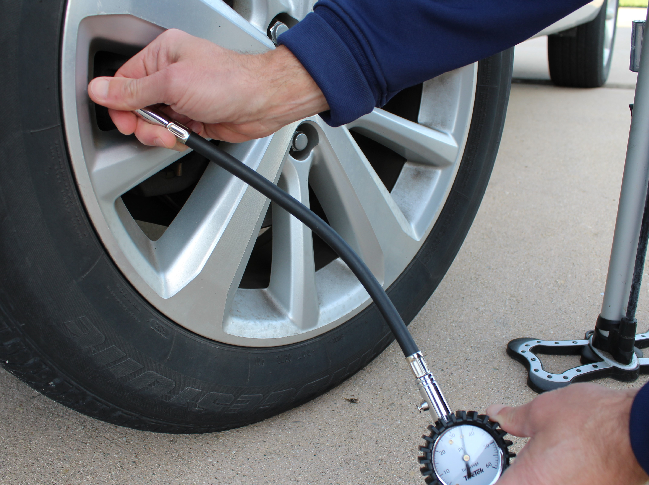 Faced with these facts, I bought a heavy-duty tire pressure gauge for about $25 and resolved to maintain proper tire pressure on my family’s cars in the New Year. The early results have proven the need for this resolution. On average, our car tires were under-inflated by 13%. Note: You can typically find your optimal tire pressure on a sticker or placard attached to the driver-side door frame. This is not the same as, and is typically lower than, a tire’s Maximum PSI (which is stamped on its sidewall). I encourage everyone to make the same “maintain proper tire pressure” resolution this year. 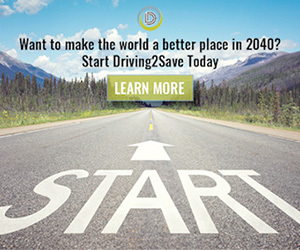 Whether you subscribe to an “all of the above” energy policy or believe that a modern-day Dante would relegate Prius drivers to Limbo, chances are you are interested in saving money and driving safely. So do it. This should be an easy resolution to keep. Well written and thought out; thanks Brian!